I had wanted to buy the Loeffler Randall rain boot last year and then just as I was about to, I found out I was pregnant and all thoughts of boots went out the window. Until last week when, for the first time in a good long while, I waded through flood waters. I took a poll on Twitter and Facebook and everyone agreed that the taupe is a better choice. Plus, it's on sale! So from $195, it's now $136! And then I found these photos from A Purl Soho and Weardrobe and they just did it for me. 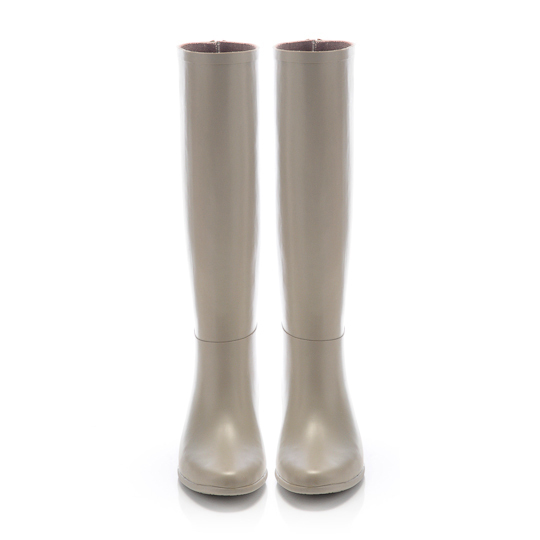 Make sure you visit their blogs because they show more ways to wear the taupe boot! So there. I'm buying myself rain boots! I never thought rain boots like those could actually look good on somebody! oh wow! i want one too! but the shipping price is $90+ from the website??!! Michelle and Loopy, I knoooow! That's why I've been resisting buying rain boots. Then I saw the outfits and SOLD! Tin, ganyan talaga! I'm having mine shipped to Johnny Air. Same price pero at least I know hindi na ako tatagain ng customs and taxes ng corrupt government natin! Mav, Melissa costs as much as the boot! Can you believe it?! The bags are ready for delivery! Should Jennifer Lawrence lose weight for a role? Love designer bags? You'll love Reebonz!